Follow the OVC blog on Tumblr! Natty Light, Credit Sesame, & More Great Contests Added This Week! Biggest Cash Prize: $35,000 in the Credit Sesame Direct Response Commercial Project, via Tongal! Create a direct response TV commercial for Credit Sesame. Best Trip: Trip to London + drumming workshop + more in the Drum Mastery 2019- The Shure Drum Contest! It’s time for drummers to get the glory they deserve. Best Prize: Scholarship $$$ TBD in the Mike Rowe Works ‘Work Ethic Scholarship Program’! Calling all skilled workers! OVC’s Pick of the Week: Our favorite contest to make its debut this week is the Natty Stories 2019 Video Contest! Natty Light wants to pay off your student loans! Plan on entering a contest? Let us know! See more live video contests at Onlinevideocontests.com. Sunsweet, New Logos, & More Great Contests Added This Week! Biggest Cash Prize: $3,000 in the Zooppa Feel Good Fruit Music Video Project! Produce a short music video for the Sunsweet Jingle! Best Prize: $800 Scholarship in the Discover the World of Communication Festival! High school students, submit your short films! 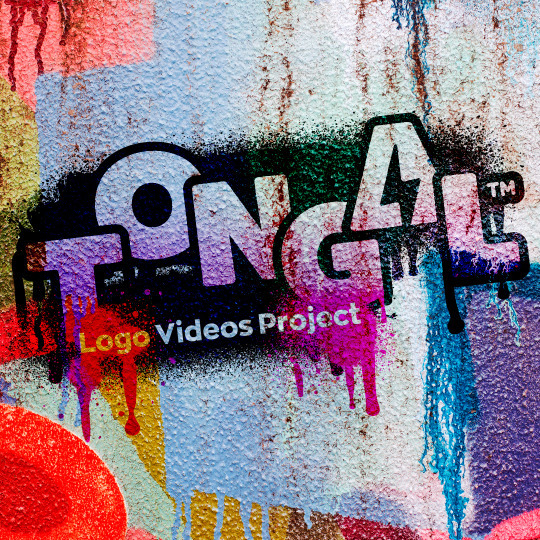 OVC’s Pick of the Week: Our favorite contest to make its debut this week is the Tongal Logo Videos Project! Help Tongal celebrate their new logo in stylish 10-second videos, and win $1,500! Wolf of Wilderness, Skydeck Chicago, & More Great Contests Added This Week! Biggest Cash Prize: $10,000 in the BetterHelp Direct Response Video Suite, via Tongal! Drive new subscribers to pursue professional help via BetterHelp. Best Prize: Free marriage/vow renewal ceremony at Skydeck Chicago in the Skydeck Chicago Love On The Ledge Contest! Explain why you should win Chicago’s most memorable ceremony. 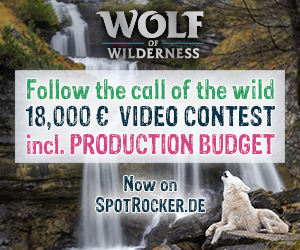 OVC’s Pick of the Week: Our favorite contest to make its debut this week is the SPOTROCKER / Wolf of Wilderness – Video Contest! Follow the call of the wild! Create a highly emotional commercial! There is a total cash prize pool of €18,000 (Approx. $20,700 USD). GE Aviation, SunnyD, & More Great Video Contests Added This Week! Biggest Cash Prize: $30,000 in the GE Aviation Docu-Style Video Project, via Tongal! Celebrate GE Aviation’s focus on changing the future of aviation. Best Trip: 8 days of an artist residency in Italy in the CinemaSuono Film Festival! Create a short film with no sound. Best Prize: Two tickets to see Trans-Siberian Orchestra in the Carolina Farm Credit ‘Thankful For’ Video Contest! What are you most thankful for? OVC’s Pick of the Week: Our favorite contest to make its debut this week is the SunnyD 'Show Your Bold’ Contest! Submit a video that gives a taste of what makes you boldly original. You could win $1,000! Apartment Guide, Dragon’s Milk & All The Best Contests Added This Week! Biggest Cash Prize: $28,000 in the Jack Link’s Product Videos Suite! Highlight the benefits of specific Jack Link’s products. Best Prize: $2,500 Scholarship in the Apartment Guide 2019 Student Scholarship Contest! What makes a home a home? OVC’s Pick of the Week: Our favorite contest to make its debut this week is the Dragon’s Milk #ShareALegend Video Contest! What’s your legend? You could win $5,000! A Chance At $1 Million From WWE & More Great Video Contests Added This Week! Biggest Cash Prize: $7,500 in the Lime Connect ‘In the Limelight’ 2018 Video Contest! Explain the daily challenges you experience living with a disability. Best Trip: Trip to DC + Mentor + $500 in the Teens Dream 2018 Video Competition! Are you a teen? What’s your dream? in the WWE 2K19 Million Dollar Challenge! Play against AJ Styles in WWE 2K19 during WrestleMania 35! OVC’s Pick of the Week: Our favorite contest to make its debut this week is the ABA 2018-19 'Lights, Camera, Save!’ Video Contest! Teens, encourage your peers to become savings stars! You could win $5,000! 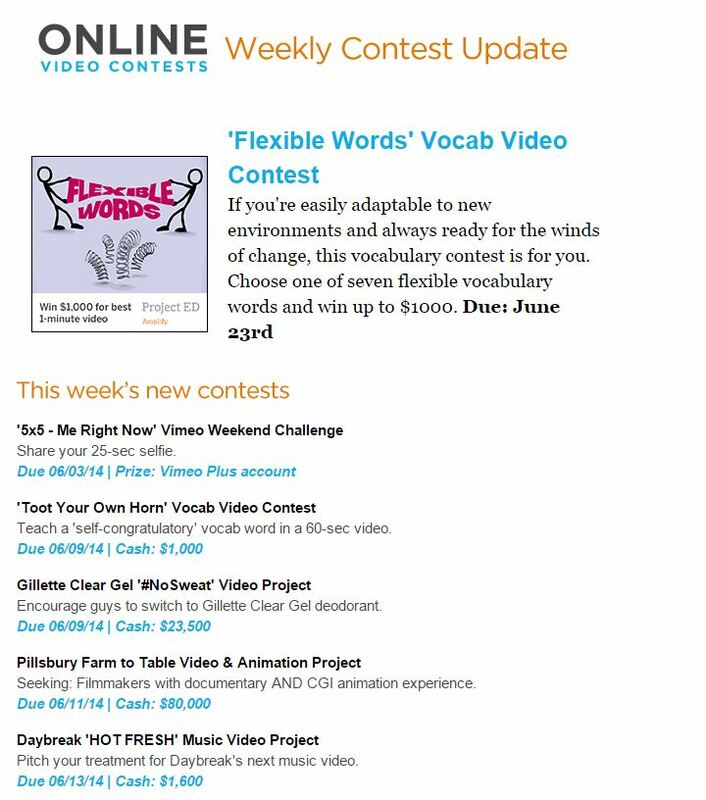 Tokyo, the Property Brothers, & More Video Contests Added This Week! Biggest Cash Prize: $8,800 in the Short Shorts ‘Cinematic Tokyo’ Competition! Show the many attractions that Tokyo has to offer. Best Trip: Cruise to the Bahamas in the Today Show 'Property Brothers Cruise’ Contest! Go on a cruise with the Property Brothers on Dec. 3-7. Best Prize: MacBook Pro 15, BlackMagic Pocket Cinema Camera, & more in the LaCie COLLECTIVE 'Me & My Story’ Challenge! Create a short on someone who stands out and inspires you. OVC’s Pick of the Week: Our favorite contest to make its debut this week is the VIP Petcare 'Pet Costume Contest’! Share videos of your pets in Halloween costumes. You could win a Canon EOS Rebel T6 DSLR Camera Package + more! MentorBox, Orogel, & More Great Video Contests Added This Week! Best Prize: $250 gift card in the #IVote4HealthCare Video Contest! Connecticut residents, are health care issues important to you? OVC’s Pick of the Week: Our favorite contest to make its debut this week is the MentorBox Editing Project, via Tongal! Edit two 60-second videos for MentorBox using existing assets. BetterHelp, This Is Us, & More Great Video Contests Added This Week! Biggest Cash Prize: $6,000 in the BetterHelp Awareness Videos Suite, via Tongal! Drive people to get the help they need through BetterHelp. Best Prize: $1,000 bonus + Zhiyun’s newest product - Crane 3 Lab in the ZHIYUN GOGO Video Contest - VertiGo! Zhiyun releases 3 new gimbals, & they’re giving them away! Best Trip: Trip to Hollywood for the Season 3 premiere of ‘This Is Us’ in the Access 'Are You the Real Jack Pearson’ Contest! Are you the real-life Jack Pearson? OVC’s Pick of the Week: Our favorite contest to make its debut this week is the Moxy Hotels 'Artist-in-Residence’ Campaign, via Talenthouse! Capture the vibe of Washington D.C. & the Dada art movement. LEGO, United, & All The Best Video Contests Added This Week! Biggest Cash Prize: $12,500 in the LEGO Amazon Video in Search Ads Project, via Tongal! Create a video for LEGO to use for Amazon Video in search ads. Best Prize: 1 million United MileagePlus® award miles in the United Hub #UnitedJourneyContest! Submit your favorite travel photo or video for a chance to win. OVC’s Pick of the Week: Our favorite contest to make its debut this week is the Rhino ‘Live. Capture. Share’ Contest! Go out and capture a special moment on camera & win 3 days in Ireland + lenses + a slider + more!